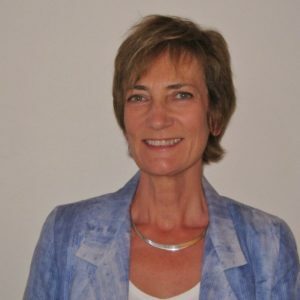 Fabienne Pehuet is a nuclear markets expert with expertise in Energy Policies and Strategies, Nuclear Programs Development, Nuclear Industry and its supply chain, Nuclear Waste management and Decommissioning, Nuclear Power Plant Projects, Nuclear Fuel Cycle markets and projects, and Uranium Mining. After a few years in the French Diplomatic Service, Fabienne started her business career in Finance with Eli Lilly in the USA and then as a trader for banks in Paris. Fabienne’s experience in the nuclear power industry business dates from 1990 when she joined Cogema (now AREVA). With AREVA until 2012, she held senior management positions in Finance, Strategy, Marketing, Large Projects and Offers, and International Partnerships. She wrote “Financing Nuclear Power Plants Projects: a new paradigm?” published by IFRI in 2015. She provides expertise and training to the IAEA, OECD/NEA, IISS, and gives the course “Nuclear Economics” in Master EFC at University Paris Dauphine. Since 2012, Fabienne has advised and assisted companies develop or refocus their activities. She is a partner with Leaders&Co, Expert Enterprise Innovation with the EU Commission and Expert “Stratexio”. Financing Nuclear Power Plants Projects: A new paradigm?